I've been stuck with qmail-scanner-queue for a while on each and every new Qmail Mail server installation, I've done, this time it was not different but as time evolves and Qmail and Qmail Scanner Wrapper are not regularly updated it is getting, harder and harder to make a fully functional Qmail on newer Linux server distribution releases. I know many would argue QMAIL is already obsolete but still I have plenty of old servers running QMAIL whose migration might cause more troubles than just continuing to use QMAIL. 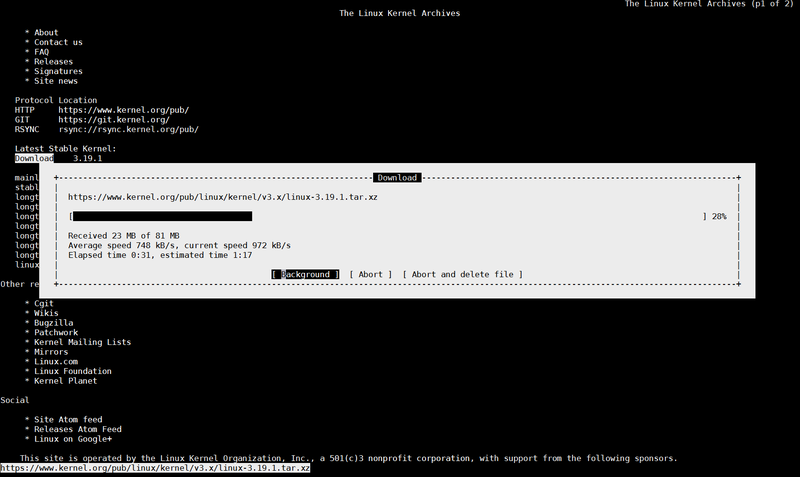 Moreover QMAIL once set-upped works like a charm. I've been recently experiencing severe issues with clamdscan errors and I tried to work around this with compiling and using a suid wrapper, however still the clamdscan errors continued and as qmail-scanner is not actively developed and it is much slower than simscan, I've finally decided to give simscan as a mean to fix the clamdscan errors and thanksfully this worked as a solution. It might be a good idea to also place that lines in /etc/rc.local to auto change permissions on Linux boot, just in case something wents wrong with permissions. 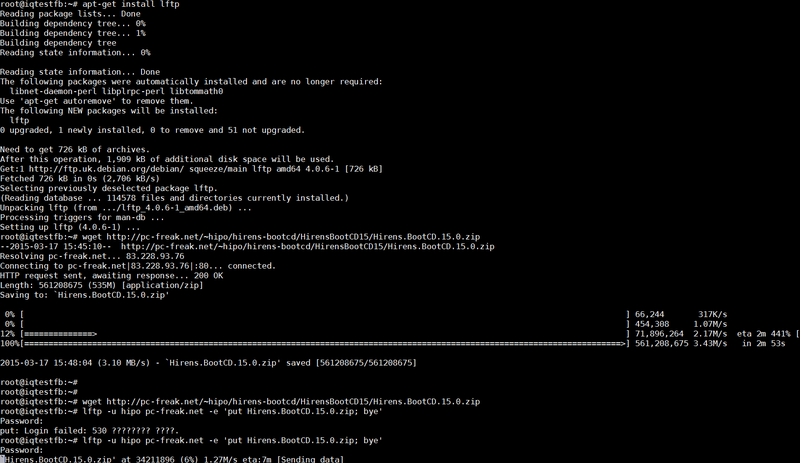 So to fix it you will have to install clamav on Debian Linux from source. Voilla, that's all finally it worked ! If you've been given a new dedicated server from a New Dedicated-Server-Provider or VPS with Linux and you were told that a certain download speed to the Server is guaranteed from the server provider, in order to be sure the server's connection to the Internet told by service provider is correct it is useful to run a simple measurement console test after logging in remotely to the server via SSH. Testing connection from Terminal is useful because as you probably know most of Linux / UNIX servers doesn't have a GUI interface and thus it is not possible to test Internet Up / Down Bandwidth through speedtest.net. For the download speed (internet) test the historical approach was to just try downloading the Linux kernel source code from www.kernel.org with some text browser such as lynx or links count the seconds for which the download is completed and then multiple the kernel source archive size on the seconds to get an approximate bandwidth per second, however as nowdays internet connection speeds are much higher, thus it is better to try to download some Linux distribution iso file, you can still use kernel tar archive but it completed too fast to give you some good (adequate) statistics on Download bandwidth. You see the Download speed is 104 Mbit/s this is so because I'm conducting the download from my local 100Mbit network. To test your uplink speed you will need lftp or iperf command tool. features, while preserving its interface as simple and easy as possible. lftp and it automatically moves to nohup mode and completes the transfers. file as soon as possible by using several connections at the same time. allowing the tuning of various parameters and characteristics. serverius.net speedtest server – located at the Serverius datacenters, AS50673 and is running on a 10GE connection with 5GB cap. You see currently my home machine has an Uplink of 30.3 Mbit/s per second, that's pretty nice since I've ordered a 100Mbits from my ISP (Unguaranteed Bandwidth Connection Speed) and as you might know it is a standard practice for many Internet Proviers to give Uplink speed of 1/4 from the ISP provided overall bandwidth 1/4 would be 25Mbi/s, meaning my ISP (Bergon.NET) is doing pretty well providing me with even more than promised (ordered) bandwidth. Iperf is probably the choice of most sysadmins who have to do regular bandwidth in local networks speed between 2 servers or test Internet Bandwidth speed on heterogenous network with Linux / BSDs / AIX / HP-UX (UNIXes). On HP-UX and AIX and other UNIXes for which iperf doesn't have port you have to compile it yourself. However CentOS failed to grab itself DHCP IP address. 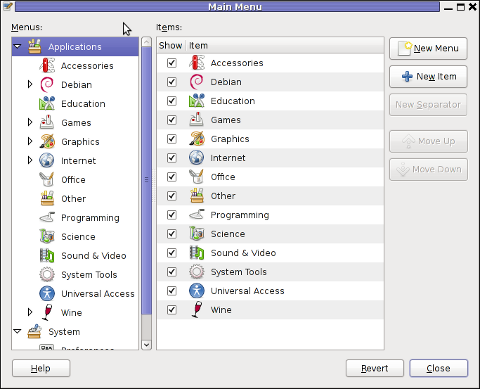 to choose in Attached to drop down menu. 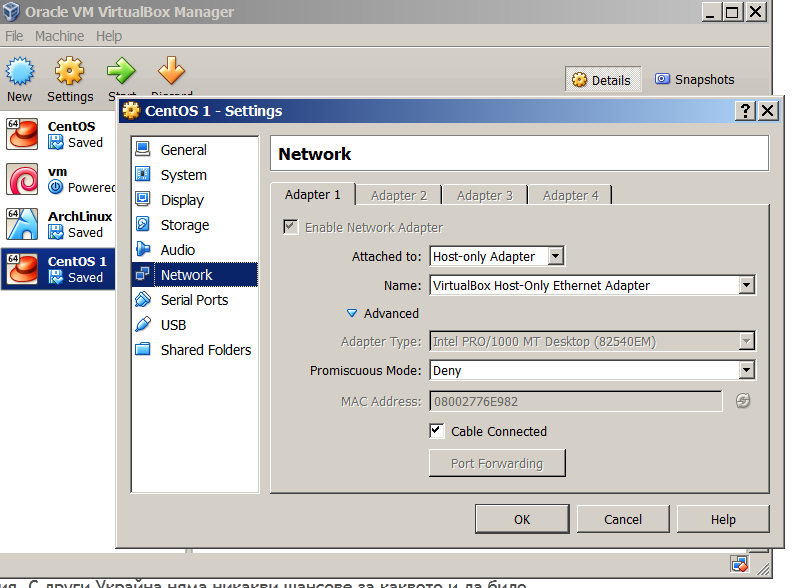 According to Internal Networking Virtualbox instructions to put two Virtual Machine hosts inside an Internal network they should be both set in Internal network with identical name. 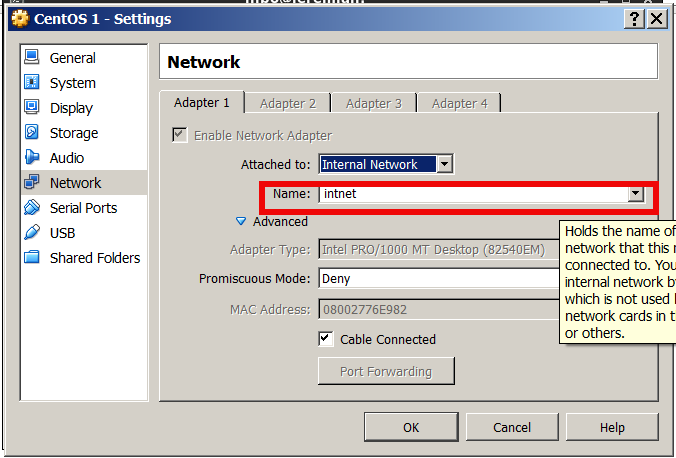 I tried this option but it doesn't work for me for some reason, after some time of research online on how to create local LAN network between 2 Virtual Machines luckily I decided to test all available Virtualbox Networking choices and noticed Host-only adapter. assigned me two adjoining IPs – (192.168.56.101 and 192.168.56.102). Connection between the 2 IPs 192.168.56.101 and 192.168.56.102 on TCP and UDP and ICMP protocol works, now all left is to install MySQL cluster on both nodes. One of the QMAIL mail servers, setup-uped on a Debian host has been creating some auto configuration issues. Every-time a new mail user tries to use the embedded Thunderbird client auto configuration, the auto config fails leaving the client unable to use his Mailbox through POP3 or IMAP protocols. Since about 2 years Thunderbird and many other modern pop3 and imap mail desktop and mobile clients are by default using the auto configuration and hence it was unthinkable to manually change settings for new clients with the QMAIl install; Besides that most of the Office users are always confused, whether they have to manually change SMTP or POP3 host for a server. The orange color in the button for the newly auto-detected smtp.mail-domain.com indicates, something is not right with the SMTP host. Obviously, something was wrong with smtp.mail-domain.com, hence I checked where smtp.mail.domain.com resolves with host command. What I found was actually smtp.mail-domain.com Active ( A ) DNS records was pointing to an IP address, our company previously used for the mail server. At present time the correct mail server host name is mx.mail-domain.com and the QMAIL installation on mx.soccerfame.com is configured to be the actual SMTP server. soccerfame.com mail is handled by 10 mx.mail-domain.com. soccerfame.com mail is handled by 20 mail.mail-domain.com. soccerfame.com mail is handled by 30 mail-domain.com. a) deleted – DNS record for smtp.mail-domain.com. A few minutes, afterwards I tried configuring once again the same email account in Thunderbird and this time both imap.mail-domain.com and smtp.mail-domain.com turned green; indicating everything is configured fine. To be 100% sure all is working fine I first fetched, all email via the IMAP protocol without hassles and onwards sent a test email to my Gmail account; thanksfully the sent email was delivered to Gmail indicating both Get Mail and Send Mail functions worked now fine. While reading some posts online related to MS-Windows TcpView – network traffic analyzing tool. I've came across very nice tool for tracking connection speed for Linux (Speedometer). 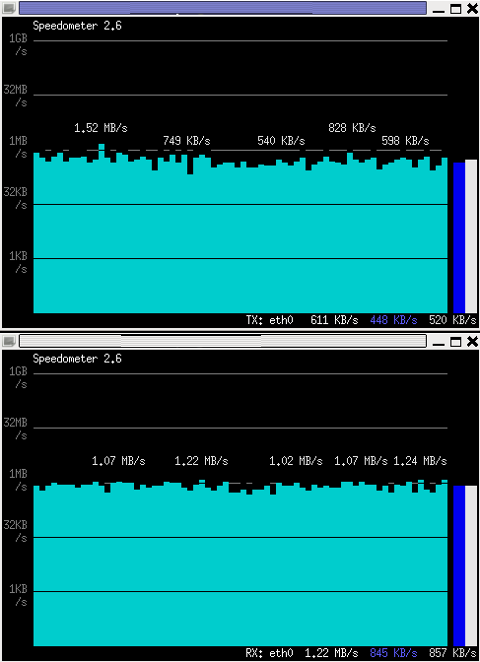 If I have to compare it, speedometer is somehow similar to nethogs and iftop bandwidth network measuring utilities . 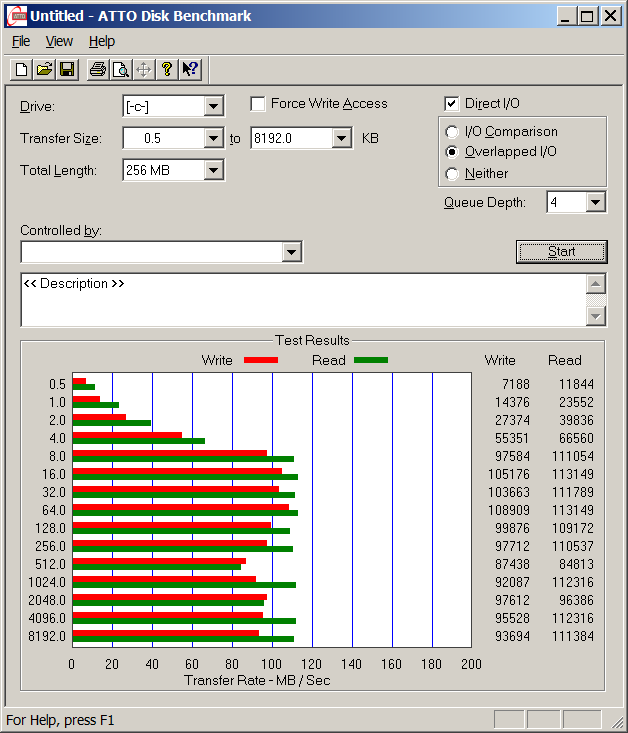 What differentiates speedometer from iftop / nethogs / iptraf is it is more suitable for visualizing a network file or data transfers. The graphs speedometer draws are way easier to understand, than iftop graphs. Even complete newbies can understand it with no need for extraordinary knowledge in networking. This makes Speedometer, a top tool to visually see the amount of traffic flowing through server network interface (eth0) … (eth1) etc. 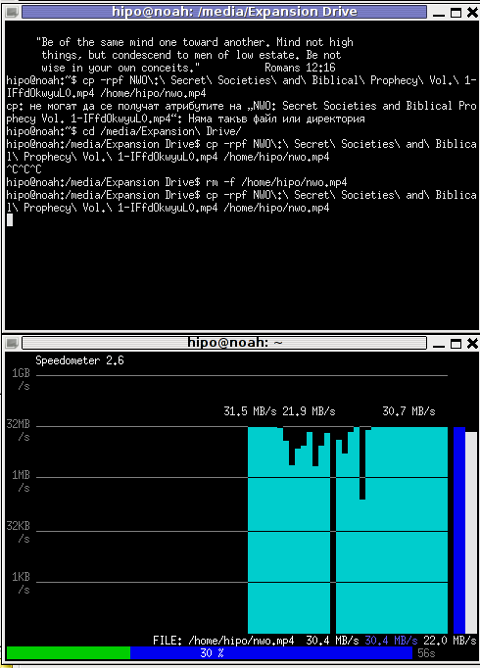 What speedometer shows is similar to the Midnight Commander's (mc) file transfer status bar, except the statistics are not only for a certain file transfer but can show overall statistics over server passing network traffic amount (though according to its manual it can be used to also track individual file transfers). The simplicity for basic use makes speedometer nice tool to track for network congestion issues on Linux. Therefore it is a must have outfit for every server admin. 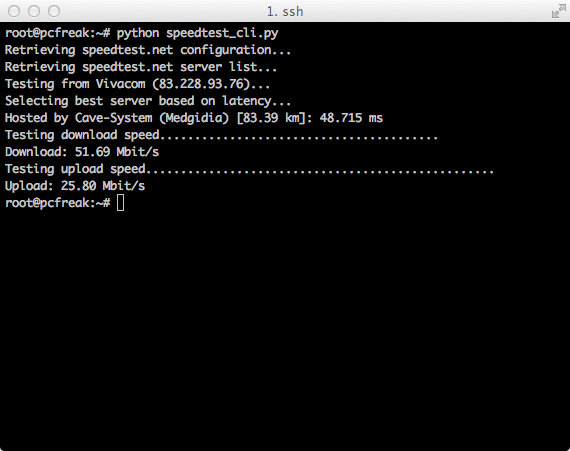 Below you see a screenshot of my terminal running speedometer on a remote server. 2. Installing speedometer from source for other Linux distributions CentOS, Fedora, SuSE etc. Speedometer is written in python programming language, so in order to install and use on other OS Linux platforms, it is necessery to have installed (preferably) an up2date python programming language interpreter (python ver. 2.6 or higher).. File "setup.py", line 26, in ? "n = n * granularity + (granularity if r else 0)"
As I priorly said speedometer 2.8's minimum requirement for a python to be at v. 2.6. Happily there is quick way to update python 2.4 to python 2.6 on CentOS 5.6, as there is an RPM repository maintained by Chris Lea which contains RPM binary of python 2.6. The -i will instruct speedometer to refresh the screen graphs once a second. How fast is this LAN? When I red this example in speedometer's manual, it wasn't completely clear to me what the author really meant, but a bit after when I thought over the example I got his point. The idea behind this example is that a constant stream of zeros taken from /dev/zero will be streamed over via a pipe (|) to nc which will bind a port number 12345, anyone connecting from another host machine, lets say a server with host host-b to port 12345 on machine host-a will start receiving the /dev/zero streamed content. I give a try to the exmpls, using for 2 test nodes my home Desktop PC, Linux running arcane version of Ubuntu and my Debian Linux notebook. "cat /dev/zero | nc -l -p 12345" will not produce any output, but will display just a blank line. Here the 192.168.0.2 is actually the local network IP address of my Desktop PC. My Desktop PC is connected via a normal 100Mbit switch to my routing machine and receives its internet via NAT. The second test machine (my laptop), gets its internet through a WI-FI connection received by a Wireless Router connected via a UTP cable to the same switch to which my Desktop PC is connected. 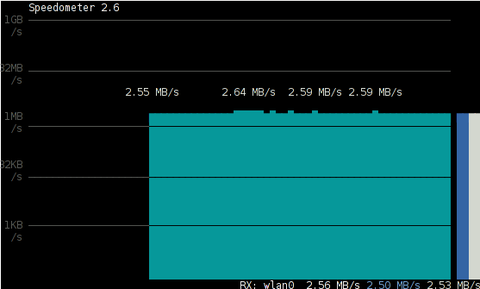 Here, I monitor my wlan0 interface, as this is my (laptop) wireless card interface over which I have connectivity to my local network and via which through the the WI-FI router I get connected to the internet. 2.55MB/s min and 2.59MB/S max, the speed is quite low for a 100 MBit local network, but this is normal as most laptop wireless adapters hardly transfer traffic in more than 10 to 20 MBits per sec. If the same nework thoroughput test is conducted between two machines both connected to a same 100 M/bit switch, the traffic should be at least a 8 MB/sec. There is something, else to take in consideration that probably makes the provided example network thoroughput measuring a bit inaccurate. The fact that the /dev/zero content is stremed over is slowing down the zeroes sent over network because of the pipe ( | ) use slows down the stream. In the speedometer manual, I've noticed another interesting application of this nifty tool. However, when I tried copy/pasting the example in terminal, to test the maximum writing speed to an external USB hard drive, only dd command was started and speedometer failed to initialize and display graphs of the file creation speed. Actually the returned results from this external USB drive are, quite high, the possible reason for that is it is connected to my laptop over an USB protocol verion 3. This application of speedometer is mostly useless especially on Linux where it is used as a Desktop. However in some occasions if files are transferred over ssh or in non interactive FTP / Samba file transfers between Linux servers it can come handy. 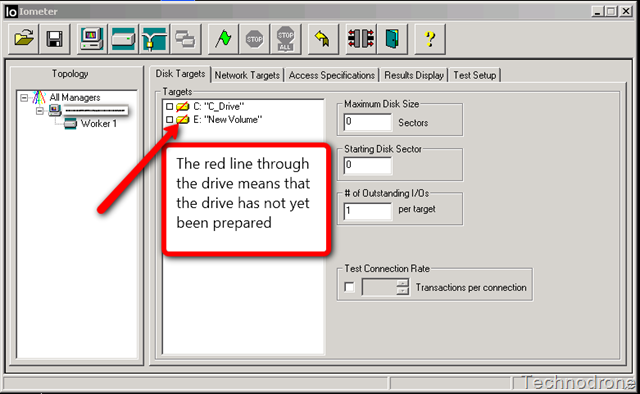 There is another section in the speedometer manual pointing of the program use to calculate the time remaining for a file transfer. How long it will take for my 38MB transfer to finish? 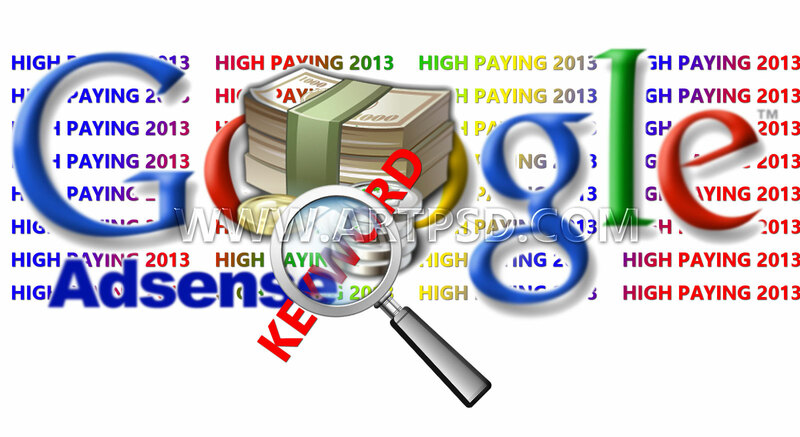 This is a formula used in which 38 has to be substituted with the exact file size amount of the transferred file. The author manual used a 38MB file so this is why he put $((38* … in the formula. I give it a try – (just for the sake to see how it works) with a file with a size of 2500MB, in below two screenshot pictures I show my preparation to copy the file and the actual copying / "real time" transfer tracking with speedometer's status percentage completion bar. /bin/rm: Argument list too long. I've earlier blogged on deleting multiple files on Linux and FreeBSD and this is not my first time facing this error. Anyways, as time passed, I've found few other new ways to delete large multitudes of files from a server. In this article, I will explain shortly few approaches to delete few million of obsolete files to clean some space on your server. Here are 3 methods to use to clean your tons of junk files. This method works fine but it has 1 downside, file deletion is too slow as for each found file external rm command is invoked. For half a million of files or more, using this method will take "long". However from a server hard disk stressing point of view it is not so bad as, the files deletion is not putting too much strain on the server hard disk. Just note, that ionice cannot guarantee find's opeartions will not affect severely hard disk i/o requests. On heavily busy servers with high amounts of disk i/o writes still applying the ionice will not prevent the server from being hanged! Be sure to always keep an eye on the server, while deleting the files nomatter with or without ionice. if throughout find execution, the server gets lagged in serving its ordinary client requests or whatever, stop the execution of the cmd immediately by killing it from another ssh session or tty (if physically on the server). The bash loop, worked like a charm in my case so I really warmly recommend this method, whenever you need to delete more than 500 000+ files in a directory. Deleting multiple files with perl is not a bad idea at all. Using perl interpreter to delete thousand of files is quick, really, really quick. Using a short php script to delete files file by file in a loop similar to above bash script is another option. As you see the script reads the $dir defined directory and loops through it, opening file by file and doing a delete for each of its loop elements. You should already know PHP is slow, so this method is only useful if you have to delete many thousands of files on a shared hosting server with no (ssh) shell access. This php script is taken from Steve Kamerman's blog . I would like also to express my big gratitude to Steve for writting such a wonderful post. His post actually become inspiration for this article to become reality. To use it rename delete_millioon_of_files_in_a_dir.php.txt to delete_millioon_of_files_in_a_dir.php and run it through a browser . Note that you might need to run it multiple times, cause many shared hosting servers are configured to exit a php script which keeps running for too long. 5. So What is the "best" way to delete million of files on Linux? In order to find out which method is quicker in terms of execution time I did a home brew benchmarking on my thinkpad notebook. a) Creating 509072 of sample files. 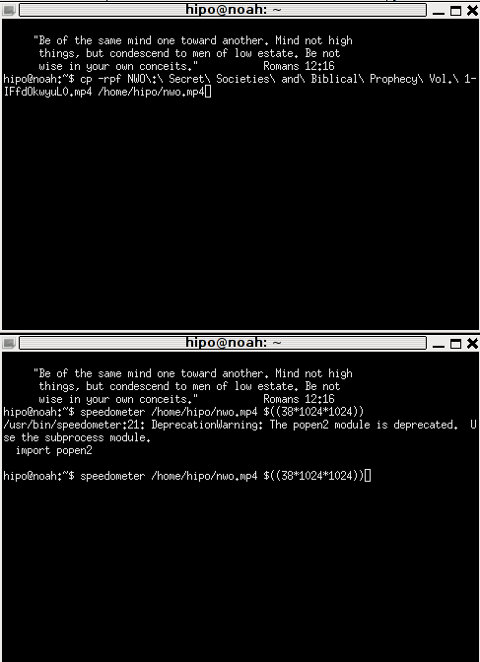 Again, I used bash loop to create many thousands of files in order to benchmark. 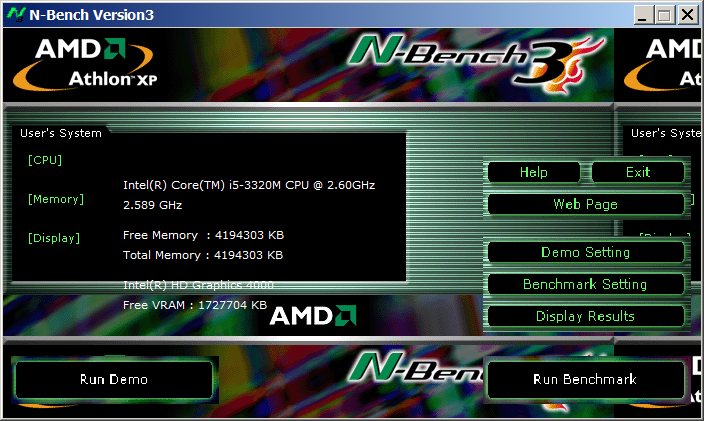 I didn't wanted to put this load on a productive server and hence I used my own notebook to conduct the benchmarks. As my notebook is not a server the benchmarks might be partially incorrect, however I believe still .they're pretty good indicator on which deletion method would be better. I had to wait few minutes until I have at hand 509072 of files created. Each of the files as you can read is containing the sample "aaaa" string. You see, using find to delete the files is not either too slow nor light quick. – How fast is perl loop in multitude file deletion ? As you can see from the results, perl is a great and time saving, way to delete 500 000 files. As you can imagine running a bash loop is a bit CPU intensive, but puts less stress on the hard disk read/write operations. Therefore its clear using it is always a good practice when deletion of many files on a dedi servers is required. On a production server I only tested two of all the listed methods to delete my files. The production server, where I tested is running Debian GNU / Linux Squeeze 6.0.3. There I had a task to delete few million of files. – The find . type -f -delete method. The results from using find -delete method was quite sad, as the server almost hanged under the heavy hard disk load the command produced. With the for script all went smoothly. The files were deleted for a long long time (like few hours), but while it was running, the server continued with no interruptions.. Taking my experience in mind, If you're running a production, server and you're still wondering which delete method to use to wipe some multitude of files, I would recommend you go the bash for loop + /bin/rm way. Yes, it is extremely slow, expect it run for some half an hour or so but puts not too much extra load on the server.. Using the PHP script will probably be slow and inefficient, if compared to both find and the a bash loop.. I didn't give it a try yet, but suppose it will be either equal in time or at least few times slower than bash. If you have tried the php script and you have some observations, please drop some comment to tell me how it performs. Even though there are "hacks" to clean up some messy parsing directory full of few million of junk files, having such a directory should never exist on the first place. Frankly, keeping millions of files within the same directory is very stupid idea. Doing so will have a severe negative impact on a directory listing performance of your filesystem in the long term. If you know better (more efficient) ways to delete a multitude of files in a dir please share in comments. I've recently had to make a copy of one /usr/local/nginx directory under /usr/local/nginx-bak, in order to have a working copy of nginx, just in case if during my nginx update to new version from source mess ups. 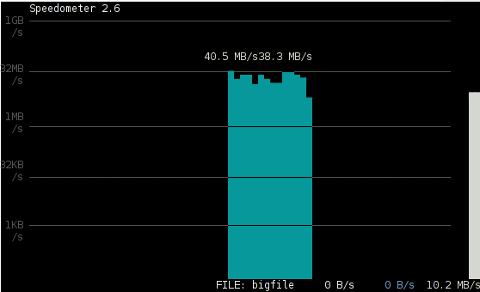 Execution took more than 20 seconds, so I check the size and figured out /usr/local/nginx/logs has grown to 120 gigabytes. I didn't wanted to extra load the production server with copying thousands of gigabytes so I asked myself if this is possible with normal Linux copy (cp) command?. I checked cp manual e.g. man cp, but there is no argument like –exclude or something. 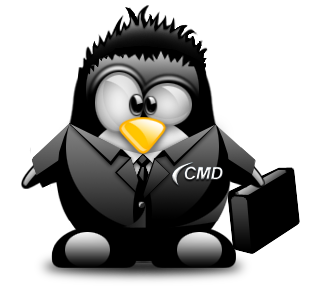 Even though the cp command exclude feature is not implemented by default there are a couple of ways to copy a directory with exclusion of subdirectories of files on G / Linux. As you can see for yourself, this is a way more readable for the tar, however it will not work on servers, where rsync is not installed and it is unusable if you have to do operations as a regular users on such for that case surely the GNU tar hack is more 'portable' across systems. rsync has also Windows version and therefore, the same methodology should be working on MS Windows and good for batch scripting. I've not tested it myself, yet as I've never used rsync on Windows, if someone has tried and it works pls drop me a short msg in comments. This will copy the files from source directory (for instance /usr/local/nginx/my_file.txt, /usr/local/nginx/my_file1.txt etc. ), which doesn't belong to a subdirectory. Does your camera show video correctly in cheese but shows captured video upside-down (inverted) in skype ? This is an issue a friend of mine experienced on his Asus K51AC-SX037D laptop on both Ubuntu and Debian Linux. As the webcam upside-down issue was present on both latest Ubuntu 11.10 and latest stable Debian Squeeze 6.02, my guess was other GNU / Linux rpm based distro like Fedora might have applied a fix to this weird Skype inverted video (bat human like) issue. Unfortunately testing the webcam with Skype on latest both Fedora 16 and Linux Mint 12 appeared to produce the same webcam bug. As one can imagine the upside-down video image in Skype is not a problem because of Linux, but rather another bug in Skype (non-free) software program. By the way everyone, who is using his computer with Free Software operating system FreeBSD, Linux etc. knows pretty well by experience, that Skype is a very problematic software; It is often a cause for system unexpected increased system loads, problems with (microphone not capturing), camera issues, issues with pulseaudio, problem with audio playbacks … Besides the long list of bugs there are unexpected display bugs in skype tray icon, bugs in skype messanger windows and at some rare occasions the program completely hangs and had to be killed with kill command and re-launched again. Another worrying fact is Skype's versions available for GNU / Linux and BSD is completely out of date with its "competitor" operating systems MS Windows, MacOS X etc. For people like me and my friend who want to use free operating system the latest available skype version is not even stable … current version fod download from skype's website is (Skype 2.2Beta)! On FreeBSD the skype situation is even worser, freebsd have only option to run Skype ver 1.3 or v. 2.0 at best, as far as I know skype 2.2 and 2.2beta is not there. Skype was about 6 months ago bought by Microsoft, therefore the prognosis for Skype Linux support in future is probably even darker. Microsoft will not probably bother to release new version of Skype for their competitor free as in freedom OSes. I would like to thank my friend and brother in Christ Stelian for supplying me with the Skype screenshots, as well as for being kind to share how he fixed his camera with me.